Singapore’s Ministry of National Development is currently seeking R&D proposals for increasing land capacity to sustain long-term economic growth while enhancing the quality of life. 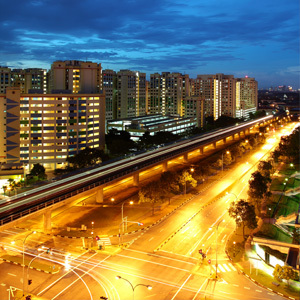 (2) develop Singapore into a vibrant, liveable and resilient city. The first calls for new cost-effective methods to create new space or optimize the use of limited land resources. Meanwhile, the second emphasizes the need to enhance the living environment through green and eco-friendly technologies, as well as improve physical comfort and community. According to Mr Tay Kim Poh, MND’s Deputy Secretary for Development, the demand for land will continue to increase as Singapore strives towards future growth. As such, it is imperative for the MND to find sustainable solutions to housing and infrastructure, while simultaneously ensuring maximum livability. Through strategic research and development projects, Mr. Poh is optimistic that environmentally-sound solutions can be cultivated to achieve these goals. Rikvin, a Singapore Company Registration specialist, sees the MND’s sustainable urban living initiative as a step in the right direction. “In addition, the sustainable urban living program is a big boost to our R&D industry, which currently employs more than 40,000 employees. The projects selected by MND will create new job opportunities,” observed Mr. Satish Bakhda, General Manager and Head of Rikvin Operations. This initiative will be funded by MND Research Fund’s Sustainable Urban Living Research & Development (R&D) program, which aims to invest in new, innovative, and sustainable ways to support Singapore’s continued development as a resilient and liveable metropolis. The MND will finance selected projects for up to three years, for a maximum of S$2 million per project. Proposals will be assessed according to technological/innovation merit, application potential, relevance and economic impact, as well as various other key factors. Qualified projects will be announced in 2013.